In October Pam and I met the kids in Scotland as they continued their incredible odyssey through Europe. It is amazing to think of the profound impact that Jonathan continues to have on their lives and the maturity and thoughtfulness that made this journey possible. The highlight of the trip, of course, was seeing the kids. The next best part of the trip for me was just having time to rest and to reflect on life. I had not taken much of a break after the events of February, and I was just plain tired. It has been an exhausting year. The constant state of grief takes its toll both emotionally and physically. One of the things I thought about during the trip is the secularization of America. It was a natural thing to contemplate given the decline of Christianity in the United Kingdom and in Europe over the last fifty years, and the parallels that are often made between the European experience and what we are now witnessing in the United States. We all know, I think, the stories of the majestic ancient churches in that part of the world that now stand more as historical artifacts than houses of worship. In fact, as we traveled through England and Scotland we saw little evidence of Christianity at all. In much of Europe and the UK God is indeed dead -- at least in the minds of the people. One of the more striking evidences of this reality is the number of old churches that have been repurposed. In one town in Scotland alone at least three old churches had been converted to, of all things, pubs. It was heartbreaking to think about the sacrifices that had been made to build these places of worship. Even more heartbreaking was the thought that in these places where people now gather to indulge themselves people once gathered to worship and praise The Lord God Almighty. Who knows the life change that happened in those places -- the miracles that were once experienced there. 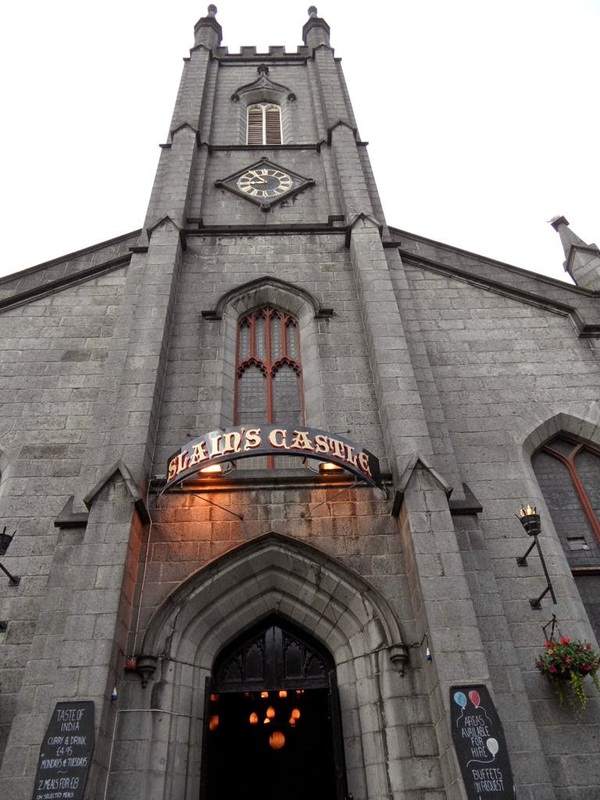 One of the churches-turned-pub that we visited was called "Slain's Castle." This church was not only converted into a drinking establishment, but it prides itself on its incredibly dark theme -- vampires, gargoyles and the like. In many ways, Slain's Castle and other establishments like it stand as a monument to a culture which has almost completely turned its back on God. Among the questions that naturally come to mind when we think about this reality are what caused the incredible decline in faith in that part of the world, what is causing that phenomenon in the United States, and whether the trend here is reversible. It would be easy to point fingers here to be sure. The media, the politicians, and even the church no doubt have contributed to the problem -- if indeed there is a problem. (I think we need to leave room for the possibility that the decline of Christianity in America is actually part of God's unfolding plan, and that the people who believe we are in the last days are right). I believe that the real issue, though, starts with each of us individually. In his book The Cost of Discipleship, Dietrich Boenhoeffer speaks of being called to a life of extraordinary quality, living up to that calling, and yet being unconscious of it. The extraordinary life we are called to is not one of material blessing. It is a life of uncommon generosity, uncommon love for people, uncommon humility, an uncommon capacity to forgive, uncommon sacrifice .... Well, you get the picture. To live such an extraordinary life and yet be be unconscious of it is impossible for men and women to accomplish through the force of their own will or the strength of their own character. Instead, it must become so ingrained and so Spirit lead that our left hand simply becomes unaware of what our right hand is doing. Matthew 6:3-4. In Europe and in the United States, I am afraid, Christianity historically grew largely with the population and largely as a result of family tradition. One became a Christian because their parents were Christian. The consequence of that reality is that in both places while the percentage of people who identify themselves as Christian is high, the vast majority of people are only nominally so. For the most part, only an empty form of Christianity exists. The reality is that this empty form of Christianity gives way relatively easily when it comes up against the weight of cultural influences. Further, the empty form of Christianity is not compelling to the unchurched or the under-churched -- it does not draw people in. 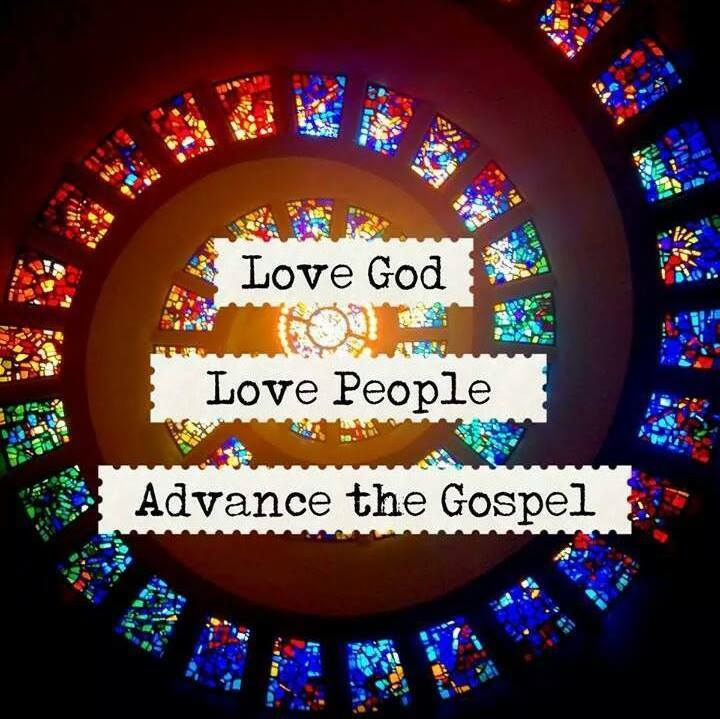 Why pursue Christ if followers of Christ look and act just like their unbelieving neighbors? Worse yet, because real Christian character never develops, empty Christianity produces an image that followers of Christ in general are hypocrites and judgmental. They learn all the right words, but produce no fruit. Perhaps another reason for the decline in Christianity in Europe and the United States is that followers of Christ in these places have become too comfortable in life, and as a consequence have lost sight of the fact that we do not live in a time of peace, but in a time of overwhelming spiritual conflict. There is a real enemy battling tirelessly for souls. And, unfortunately, many of the "Christian soldiers" are not just unengaged, but oblivious to the fact that we are at war. Unless we come to grips with this reality, we will fail to understand the struggles that we face individually or as the Church. Finally, be strong in the Lord and in his mighty power. Put on the full armor of God, so that you can take your stand against the devil’s schemes. For our struggle is not against flesh and blood, but against the rulers, against the authorities, against the powers of this dark world and against the spiritual forces of evil in the heavenly realms. Therefore put on the full armor of God, so that when the day of evil comes, you may be able to stand your ground, and after you have done everything, to stand. Stand firm then, with the belt of truth buckled around your waist, with the breastplate of righteousness in place, and with your feet fitted with the readiness that comes from the gospel of peace. In addition to all this, take up the shield of faith, with which you can extinguish all the flaming arrows of the evil one. Take the helmet of salvation and the sword of the Spirit, which is the word of God."